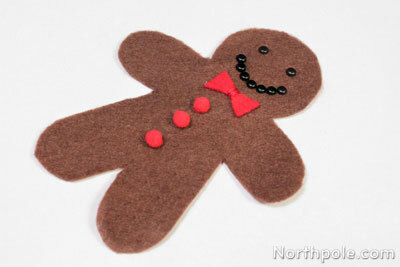 Little gingerbread girls are made of sugar, spice, and everything nice, but what are little gingerbread men made of? 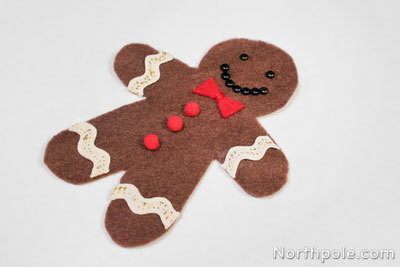 Well, this guy is made of felt and fluff and decorative stuff! 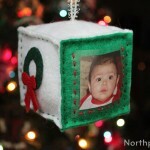 While this cute cookie ornament isn’t tasty like his edible counterparts, he’s certainly still a crowd pleaser. 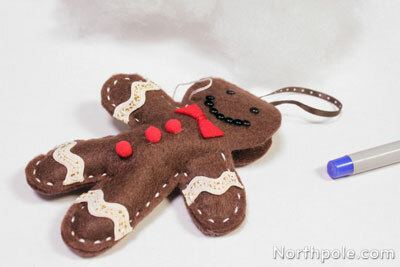 Make this gingerbread man to adorn your Christmas tree or give him as a gift. *We used miniature brads for the eyes and mouth, but you could easily use beads or buttons instead. Add brads for eyes and mouth. Sew on the red bow tie. Glue mini pompoms on the belly. Cut pieces of rick rack ribbon to fit the hands and feet. Gluing one piece at a time, place a small dot of glue in the middle of each piece of rick rack and glue the ribbon onto the hands and feet. 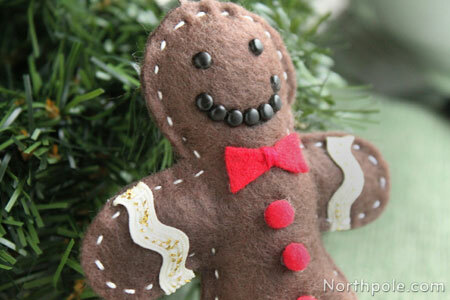 Note: Be sure not to get glue on the ends of the ribbon, as you will need to be able to sew through the ribbon when you sew the gingerbread man together in step 11. Cut a piece of ribbon that is 6–7". 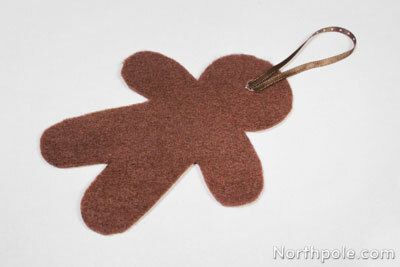 Fold the ribbon in half, and glue the ends onto the other gingerbread man piece. Begin sewing at one arm and continue sewing around the body until you reach the other arm. 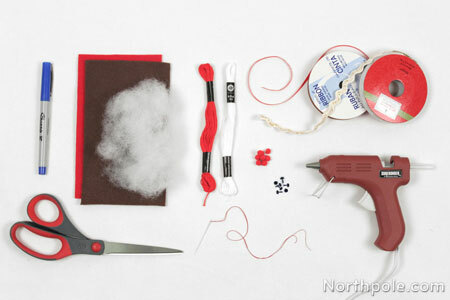 Stop sewing for a moment and add Poly-Fil®. �Use the end of a marker or pencil to stuff the arms and legs. Sew around the head and stuff the head with Poly-Fil® before closing the stitches. See this article for tips on hiding the knot. 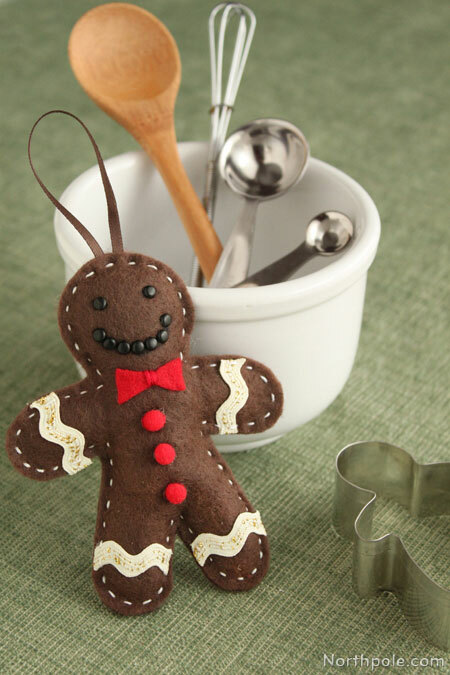 Now your gingerbread man is all done! To keep the ends of ribbon from fraying, seal the edges with a flame.